On Cloud Nine Atop the Blue Mountains - Ghumakkar - Inspiring travel experiences. 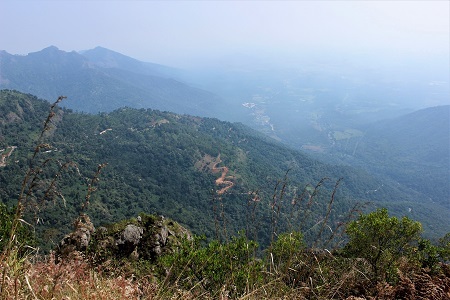 Travelling to Ooty is no less than riding a giant roller coaster, with the thirty-six hairpin bents and the sinuous paths that wind up the mountains, it takes a lot of strength to stay put in the car. Passing through the jungles of the Mudumalai reserve is quite an adventurous experience though. After reaching the hill station however, one can feel absolutely at peace with the nature and forget about the hardships of the journey like a bad dream. We also did the same, after checking in I had a good rest in the hotel. It was a very cold month of December so I snuggled up in the bed till evening. After a hot cup of tea, I was all geared up to venture out and have a look around the town. As I came out, I could see many cars careering along. A lot of tourist, flaunting their newly bought shawls and caps, were wandering about. I wanted to avoid the crowd so took a different path. Walking down the path eventually led to the centre of the town. 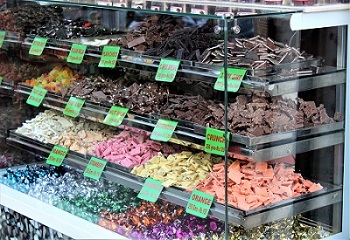 Myself and my husband was absolutely taken aback to see the number of shops selling home made chocolates. The shops were literally everywhere and I was spoilt for choice. That evening we didn’t hang around much but came back to the hotel to dig in a sumptuous dinner and have sufficient rest. The next morning, we started very early at the crack of dawn. A car took us to Coonoor, it is situated in the outskirts of Ooty. 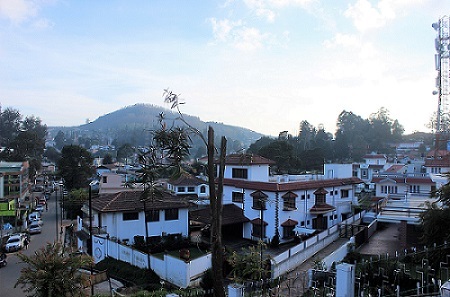 It is a picturesque hill station and is covered with tea plantations everywhere. As our car drove up the winding road we were rewarded by a wonderful vista of rolling hills under a deep blue sky. 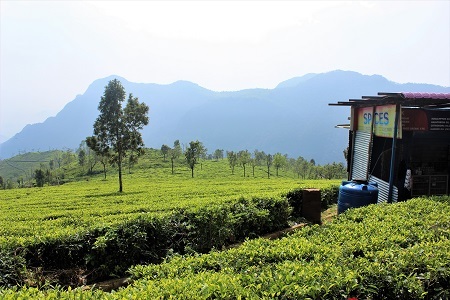 We got down and took many pictures, I also bought some tea packets from the locals who were very keen to tell us about the details of the Nilgiri tea plantations. Some children were larking about in the street corner; they also came and took pictures with us; it was a wonderful experience indeed. 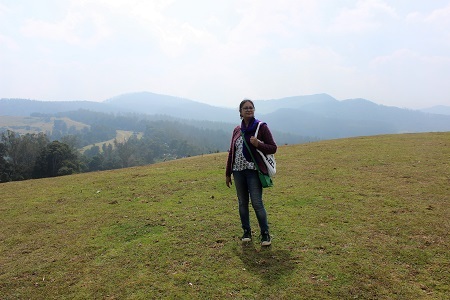 While in Coonoor we also visited Sim’s Park and Lamb’s Rock, these places are very touristy so we just had a look around and came out. I was particularly interested to visit the chocolate and wine factory, we did drop in there and garnered a lot of information about chocolate making. Our next halt was in the pine forest. If someone has a plan for a picnic on his mind, this is the place to be. I was ferreting around for pine fruits and did collect quite a few of them. The sun was high up in the sky, so took some sunny pictures with the pine trees in the backdrop and came back to our car. Our next destination was the shooting meadow. The meadow stretches as far as one’s eyes could see, all covered in a carpet of green. I felt a frisson of delight as I climbed on top of it. A perfect place to shoot and laze around – it made my day. I was more than happy as I came back to my car. Visiting the Pykara lake and waterfalls was an added excitement for us. Later on in the day when we were driving back to Ooty, we stood and gaped at the beautiful sight that the Doddabetta peak had to offer. 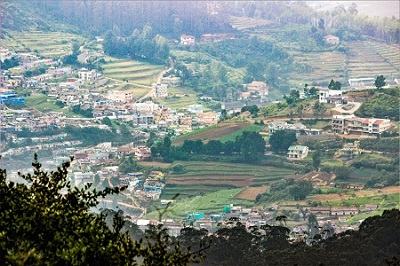 The peak is considered to be the highest point in Ooty. That night it was freezing cold on the hills. All the shops and cafeterias preferred to shut themselves down a bit early. 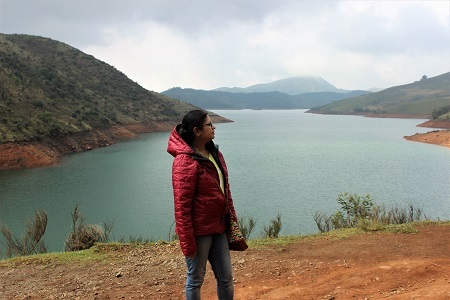 The next day we drove through a dense forest to reach the Avalanche lake; it is the most serene place in Ooty. On our way we stopped by a temple perched on top of a hill. 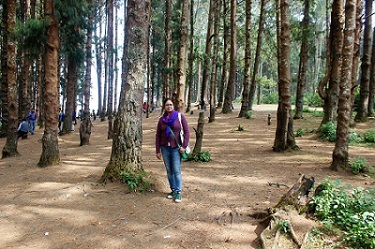 The dense forest, the clean air and the calmness of the lake was a source of unadulterated joy to us. Stopping by and gazing at the beautiful nature with the sweet cacophony of birds all around was absolutely a utopic experience. The next day we drove down to Coimbatore to catch our return flight. All the effulgent memories during my stay on the hills was delightfully carried home with me. Been to Ooty long back so t’was refreshing to go with you again. However, we didn’t have much time there and so had to satisfy with the very few spots. Glad to note that you’ve covered a lot and thanks for taking us there. Even before I could earn a driving license, and even before the elders could know of my newly acquired driving skills, I had once taken away a car (Landmaster -perhaps older version of Hindustan Motor’s Ambassador) of my father’s friend filling it to the capacity with small children of our neighbourhood (nearly 12 of them). The old car was entrusted to my father for finding some good customer for it who would be willing to pay Rs.10,000/- for it. With all those children in it, I stationed myself at the driver’s seat and had a circular trip upto Kuthal Gate (between Rajpur and Mussoorie). When the parents of all those ‘missing’ children came to my father to enquire if he had any clue as to where all the children could had gone, my father, discovered to his great horror that not only I was also missing but the Landmaster car also was not where it was supposed to be. Today I can visualize how he must have been going through in those moments. When after an unbearably long wait of an hour, he finally saw the black Landmaster coming in the lane like a fat, pregnant buffalow, and then 12 children jumping out of it one after the other, giggling and laughing, he was red hot with rage. I had already seen him standing in front of his clinic in the lane and if I had any option, I would never have come out of that car but as I stood before him trembling with fear, he gave me good thrashing. As revealed by my father later, he was most perturbed because I had taken 12 children of different families of our lane.